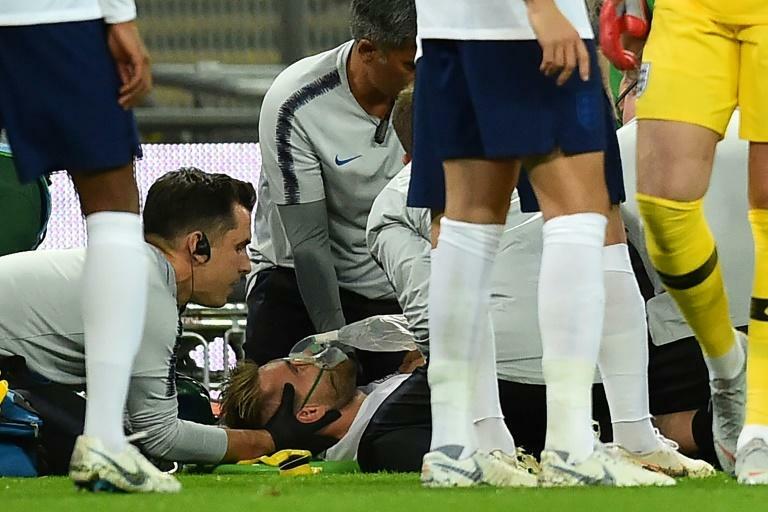 Luke Shaw insisted he is "doing fine" after being stretchered off with a nasty-looking head injury on his first England start for three years in a 2-1 defeat to Spain on Saturday. "Thank you for all the love and support I am doing fine and am in the best hands," the Manchester United left-back tweeted. "I’m a fighter so I will be back soon!" Shaw, 23, revealed this week that he could have lost his right leg after suffering fractures of the tibia and fibula during United's Champions League tie with PSV Eindhoven in September 2015. Despite returning just under a year later, Shaw had struggled for form until the start of this season when four impressive performances for the Red Devils earned him an England recall. He repaid the faith shown by England manager Gareth Southgate with an excellent cross for Marcus Rashford to open the scoring at Wembley on Saturday. "He's sat up in the dressing room talking and seems fairly comfortable," said Southgate. "We'll have to assess him a little bit more overnight but that's definitely a good sign." However, the former Southampton defender remains a doubt for England's friendly against Switzerland on Tuesday. "We'll go through some tests. We won't take any chances with his health," added Southgate. "But the good news is he is awake and talking and seems comfortable."